Lydia met Jerome, an educated white-collar worker with a body like a construction worker–a man with morals and beliefs so close to hers it seemed unbelievable. 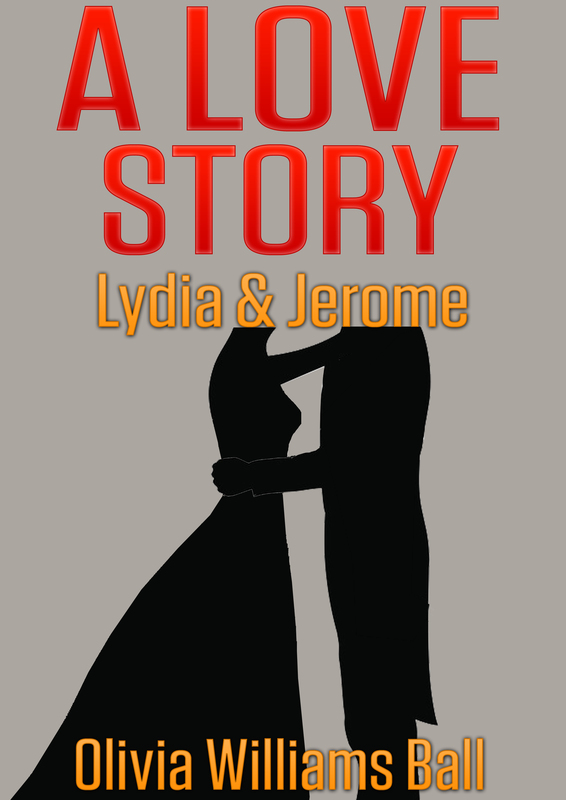 After he holds her tightly in his muscular arms and takes her to heaven as they kiss, will fear of Jerome’s past get in their way? Or has Lydia finally met the-one? I felt a twinge of nervousness run through my body when the Los Angeles Crenshaw district address matched the one I held in my hand. I parked the car and did one last check on my hair and makeup in the rearview mirror. I wondered if I needed more lipstick. I got out and told myself, maybe I shouldn’t be here. And why did I wear this dress? I hope he doesn’t take it as a come-on. After ringing the doorbell, around five seconds later the door opened. BOING …! was the feeling that hit me as I laid eyes on him again. Something about him sent vibrations through me as our eyes met. “Would you like to come in—maybe use the restroom, or is there anything I can get you? Would you like something to drink before we go? I have soda…juice.” He seemed nervous, also. “Okay.” He stepped out onto his porch next to me, smiled and proceeded to lock his door. I took a breath and moved over some, because standing that close to him was uncomfortably stimulating. Plus, the aroma of his cologne and how nicely he was dressed was nearly intoxicating. I knew that the just being friends idea was in trouble. “Thank you.” I tried not to look so dreamy-eyed as we looked into each other’s eyes again. “Oh,” Jerome said, before proceeding to open the door. He held it until I slid inside. I took a breath. You have to get a grip, girl. You’re not supposed to get involved, remember? I watched Jerome walk around to the driver’s side of the car. He took off the long brown overcoat that he was wearing and laid it across the back seat; then he fumbled with his tie as he slid inside the car. Love is complicated. Add in sordid pasts, pledges of celibacy, and children and you make it even more so. But it’s that turmoil – that uncertainty – that also makes love exciting. What is true in life is the same in fiction. 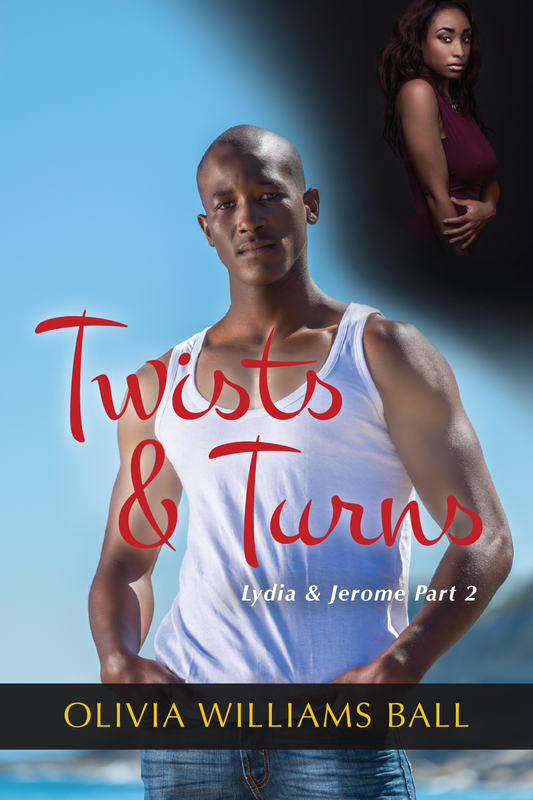 Lydia, a single mom to a young boy, finds the love of her life in Jerome, a recovering addict with a heart of gold. She falls head over heels for him – so much so that she becomes possessive. She starts to worry about what he is doing when he isn’t with her. This causes her to make bad decisions that cost her the relationship she so desperately wants. Enter Phillip, the father of Lydia’s child. Twists and Turns is about love lost and happiness gained. Lydia and the people that surround her learn full well what changes love can put people through. Will Lydia be able to repair her relationship with Jerome? Will she reconcile with her ex-love Phillip? Is happiness to be found living alone? Read Twists and Turns and find out! Jerome? I paused, taking in a breath and nearly holding it. “A body and intelligence… Nice.” I forced a smile. There are at least five million people living in Los Angeles. Could it really be Jerome that she’s talking about? After all they live within a few miles of each other, here in L.A. The waiter returned with Vernadine’s salad and placed it in front of her. He placed a bowl of delicious looking soup in front of me. We both thanked him before he turned to leave. Jerome is a financial analyst. I cleared my throat. “Oh.” I began perspiring all over. I’m a native Californian, where I still live with my husband. I worked as a nurse for years. Writing was something I never imagined doing. But my husband insisted that I give it a try because every incident I encountered over the years turned into a story. So here I am, having fun creating stories. I also love reading, movies and spending time with family.